Blackbird Caye Dive Resort is a small, private resort just beyond Belize's Great Barrier Reef, occupying the largest of the islands in the Turneffe Atoll group. On a remote jungle island 32 miles east of Belize City, Blackbird Caye Dive Resort overlooks the azure Caribbean sea, offering divers some of Belize's most interesting diving and snorkeling. You'll find no roads...no phones...no worries; just good food, superb diving, plenty of fun in the sun, and the ultimate in get-away-from-it-all relaxation; at a very attractive, all-inclusive price. 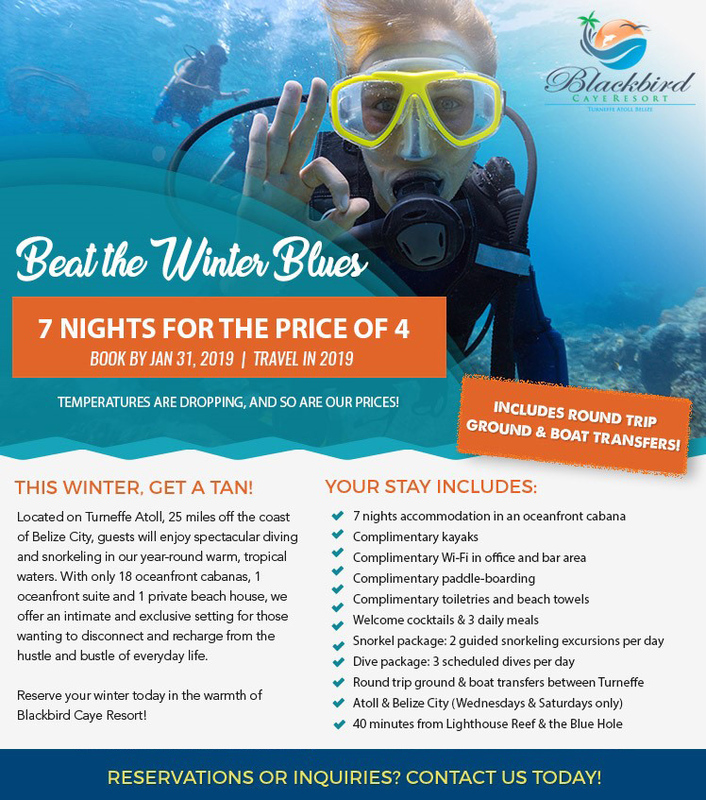 Enjoy 7 nights for the price of 4 - Beat the winter blues at Blackbird Caye Resort with an all-inclusive dive vacation. Special is valid for travel until October 31, 2019, but must be booked before January 31.Available on new bookings only, subject to availability. Standard Cabanas -- Enjoy oceanfront private, air-conditioned cabanas with private porch and swinging hammock cooled by natural trade winds, facing the eastern Caribbean Sea. Each cabana has a ceiling fan, one or two beds, nightstand and closet area. Some cabanas have sitting areas. The baths are modern and equipped with hot showers. Superior Cabanas -- Well located rooms on the Southern side of the resort near a beautiful stretch of beach, in full view of the coral reef. Deluxe Cabanas -- The newly constructed deluxe cabanas are more spacious than the Standard units. Each suite has a private bedroom with king bed, ceiling fan and air-conditioning unit. The living room has chairs, loveseat and table as well as mini-refrigerator, making it great for entertaining or relaxing. These oceanfront cabanas also have a porch with hammock and chairs. 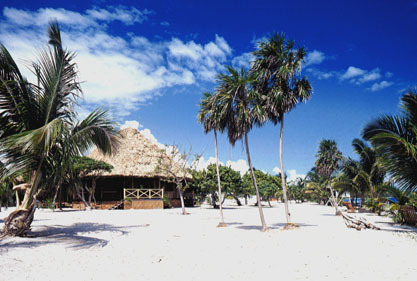 Blackbird Caye Dive Resort Packages include: Round trip air and ground transfers from Belize International Airport, air-conditioned, oceanfront accommodations, three meals daily, valet service for up to three boat dives per day, use of tanks and weights, complimentary use of sea kayaks, birdwatching and hammocks. Package prices do NOT include: Airfare to Belize, Dive & snorkel equipment rentals, Optional Blue Hole diving/snorkeling trip: $200 US per person; leaves every Tuesday, weather permitting; (Marine Reserve fee of $40 US per person for those who go on the Blue Hole excursion), Resort tax: $4.50 per person, per day, Bar drinks, Bar & grill menu, Gratuities. NOTE: Fees and taxes cannot be pre-paid and are collected at the resort. lodging in selected room category, three daily meals, and scuba diving or other activities. Prices are per person, based on double occupancy, and are subject to change. 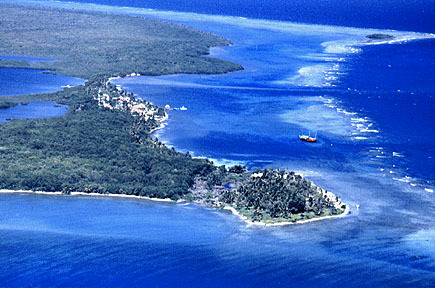 Hotel tax of USD $4.50/person per night, and a $40 marine reserve fee, are collected at the resort upon arrival. 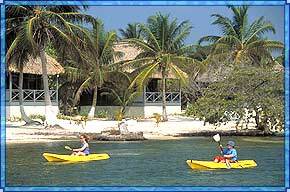 Blackbird Caye Dive Resort offers a pleasant slice of barefoot relaxation. The native-style guest cottages are crafted with mahogany and thatch, each with private bath, ceiling fans, and either full or twin beds. Explore the marine life, the tropical flora and fauna, the coral reef, the mangrove jungle, or just recline beside the ocean with a cooling breeze in your hair and a drink your hand. Enjoy the simple pleasures, as you relax amidst the natural treasures of Blackbird Caye Dive Resort, both in and out of the water. 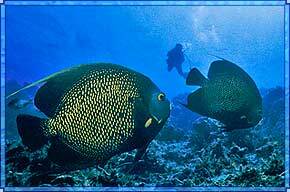 It's easy to enjoy the tropical splendor, interesting diving, and simple relaxation of Blackbird Caye Dive Resort. Island Dreams' special packages include lodging, room tax, three meals daily, three boat dives daily, and complimentary shore diving. A 1/3 deposit guarantees your place in the fun, with final payment due 60 days prior to your departure. For a color brochure, discount airfares, and confirmed reservations please contact Island Dreams Travel.